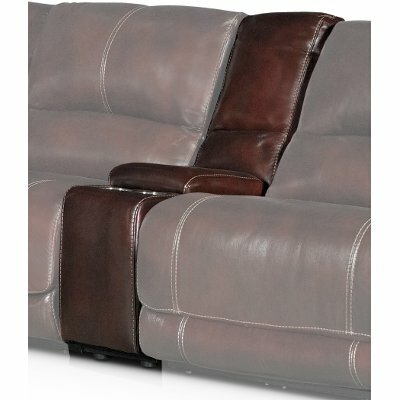 Dark Burgundy Power Reclining Sectional Sofa - Brant is rated 2.7 out of 5 by 3. Rated 1 out of 5 by LisaP Defective Motors and Cheap Leather Do not buy this sectional. We had our prior leather couches for 17 years prior to purchasing this one and never had punctures in the leather. The leather punctures easily if you have pets (which we had with the old sofas, too). Also, two of the motors died -- one within a few months. The appointment was rescheduled and by the time the technician came out, another motor had died. The parts were ordered close to three months ago and I called today and was told they come from China and could be in by end of March but could take up to 6 months. This is unacceptable. If you are selling this, you should stock some parts for it. We have spent thousands of dollars of RC Willey in the past but they have lost us as a customer. Rated 3 out of 5 by Stumpylv Burgundy Sectional Within two days...one of our dogs (a small pug) jumped up on the couch and put a hole in the “leather”. Very disappointed for the price paid on the durability of the “leather”. Recliners and chaise are wonderful...wish we would have know before we purchased. 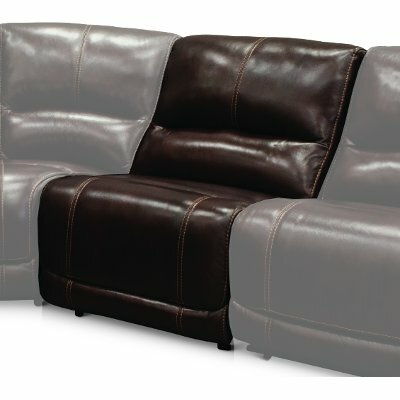 Rated 4 out of 5 by veryrelaxed really nice and comfortable We went and looked at sectionals and we saw multiples and ours sales person was very friendly and had the information we were looking for. We looked around and still liked the sectional we were shown at RC Willey. I wanted one with a lounge on one side and didn't see one. The sale person had told us they didn't have one and those were usually on non reclining sectionals. 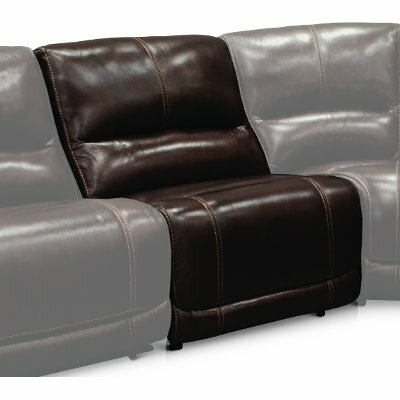 I looked online again to see the couches and found this one with the recline and back adjustment and lounger with back recline. It was right around the same price as the one we saw in the store and we decided to get it.